Of course, most of mine were girl-oriented books. Cinderella and Snow White stories straight from the movies shared scenes with the Wicked Stepmother and the Wicked Queen. 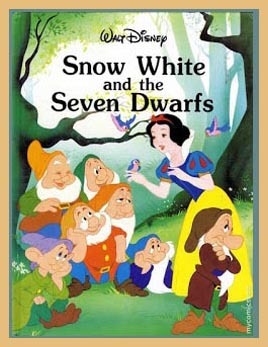 Seven dwarfs occupied many pages, there were lots of adventure scenes with seven of them! Not to mention all those cute animals, like Bambi, and Thumper. And Cinderella’s musical bluebirds. Soon came crayons. Wonderful coloring books came with those crayons, with just a word or two at the bottom of most pages. First crayons? A one-layer box holding red and blue ones with sharp points, plus brown and black, purple, orange, yellow and green. I learned early on that combining certain colors made other colors. Experimenting with red and blue to make purple, or yellow and blue to make green, for instance. Interesting what you could do with colors. But I couldn’t seem to make pink… there weren’t quite enough colors in that little box. Bigger boxes containing multiple layers of crayons became a popular birthday or Christmas present with me. Some of the brand-new colors had fascinating names – Prussian blue, violet, burnt sienna, cerulean, Indian red – I couldn’t make those lovely hues with my old worn-out crayons, so for a little while coloring books sufficed for entertainment. And when all my book pages were used up, I simply started drawing my own pictures to color on the backs of mama’s old typing paper. Well, you could make pretty pictures with crayons but they weren’t much good for true writing. Like words – with crayons it was really just drawing words, drawing the individual letters. Capital letters and small letters, like D-O-G, and d-o-g, and D-o-g. And C-A-T, of course. But at age 2 or 3, there weren’t any real words yet. 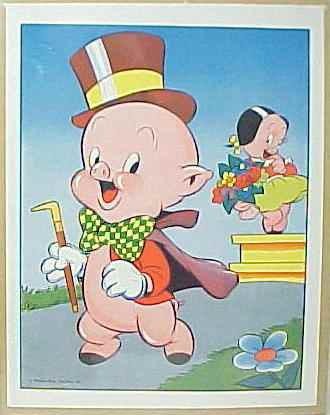 I was just beginning to get the idea of words as my parents read the little books aloud to Harold and me. Nose practically down on the page, I followed along word by word and probably asked a multitude of questions as we went. I’m sure mama was very glad when I learned to read for myself. Crayons were supplemented with pencils eventually, I’m not sure what age I would have been. Kindergarten, maybe? I started kindergarten at age 3. Short yellow pencils with no erasers, no paper covers, and thinner than those first crayons, they were a bit harder to grasp for little fingers. What did we do with those pencils? Scribbled mostly, I’m sure. We had to get the hang of this thing, writing without breaking the point off immediately. Too many trips to the pencil sharpener and your pencil was a goner. Bound in a little pad, our writing paper wasn’t truly white, more of a pale tan, coarse and somewhat soft. A bit too easy to tear with a sharp pencil point, the pages were ruled with dark straight lines, narrow dotted lines in between. Drawing was probably the first thing I attempted with my pencils, since the muscle memory in my fingers can almost feel the way I held my pencil as I shaded something in. An apple? A tree? I love trees, always have. But trees are difficult for a little kid, it was probably something else I was copying from a picture book – the bare outline of a house, or a puppy, or a bowl. Copy from the book, then shade with the pencil held sort of sideways, or perhaps color with the crayons. 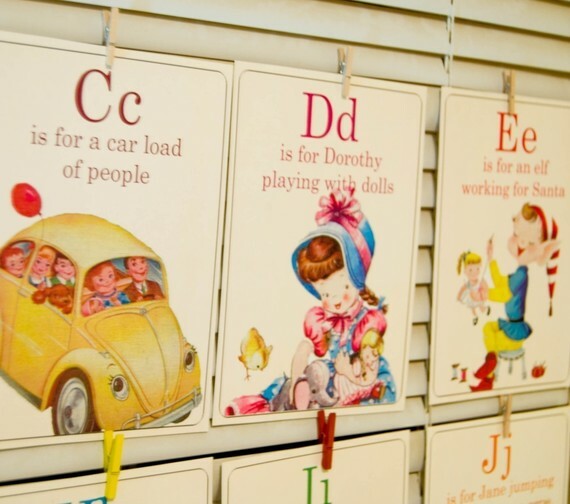 And more alphabet letters, naturally, this time copied from a colorful chart hanging in the playroom. There was no actual writing as such, not way back then. No letters were strung together yet to make words, but it wouldn’t be long. After two years of kindergarten, at age 5 I began first grade able to read and write letters, words, and even whole sentences! My writing career was off to a good start… although for some years all I ever wrote were hand-made greeting cards for my mother. Oh well. In the last few months I haven’t done as much writing as I used to. Perhaps it’s time for more. Poynor was a scary place for a brand-new 7th grader in September 1955. Changing classes! I’ve had several recurring dreams in my life and getting lost at Poynor trying to find math class was one of them. I’d go down the long, long hall, craning my neck to read the room numbers through the mass of students. The hallway never ended and I never reached the right room. I awoke with achy muscles from pushing through the crowd, certain I was going to flunk math because I couldn’t find the classroom. I did get lost in Poynor searching for the cafeteria my first day. You can’t get there from here, an older student told me. Here was the north end of the second floor hall. It seemed I had to reverse direction, go to the south end, downstairs and then head north. I don’t know if that was the only way to get there or not but I was afraid I’d miss lunch if I didn’t follow those directions. Down at ground level a polite boy walked me to the door of the noisy lunchroom. I soon memorized a map of the building, learned my way around and got used to changing classes and teachers. Home Ec (short for economics) was one highlight of my junior high career. Mrs. Baxley taught us how to read a menu and bake a cake, follow a pattern and sew an apron. I recall baking and eating chocolate-frosted cupcakes, but most of all I remember sewing my first apron, a lovely brown and white creation complete with bound-in hand towel and roomy pocket. A Mother’s Day gift for mama, I labored for days to make sure it was perfect. And it was. Mama made good use of it for years and when she wasn’t wearing it, I was. That apron came to symbolize Poynor to me: the practicality of my lessons, whether math, science or English; every-day applications of my schooling. Mrs. Mary Josey Whitehurst recently sent me a newspaper article titled My Mother’s Apron. In her note Mrs. Whitehurst said “I remember these things so well, for my mother had an apron just like this.” Thank you so much, Mrs. Whitehurst, for sending me this. “Many memories of my mother linger with me, but one thing that stands out is one small item of clothing that was very essential, but today has become almost obsolete: that is, the apron that she wore each day. These aprons were washed, starched and ironed each washday, and I can almost see them now as they hung on the clothesline side by side. Even a visit to a neighbor in the evening demanded a clean fresh apron, as surely as company was coming to visit. “The aprons were always made with two pockets; one for a cotton handerchief used to clean noses, and the other for some items as rewards for obedient children — a half stick of gum or a small piece of candy, perhaps. Pockets were used for many things; for an egg or two, a baby chick lifted from a warm nest, a few pecans, a handful of berries that could be black, blue or straw, any kind of flower or vegetable seed, or a handful of corn to be fed to the mother hen as mother counted the baby chicks. “The apron had many uses — to wrap around a child on a chilly day or to fold up the bottom to lift the eye of the old wood stove as she stoked the fire inside. The corners were lifted and held together with one hand and used as a kind of sack to pick and carry peas, corn, okra, or squash. “The apron was used as a fan when the weather became unbearable, to wipe the sweat from her brow and wipe smudges from the faces of her children or grandchildren. It was used as a fan to scare flies away from the table, run chickens off the porch, and to fan smoldering coals in a fireplace to make it glow. 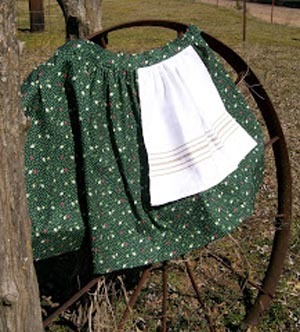 “The apron was untied and used as a sun bonnet on a hot day or a rain bonnet when caught in a sudden shower. My earliest memories were of the apron being wrapped around me along with my mother’s arms, while we sat in the darkness of night on the front porch watching the lightning in the far distance. It was as if the apron would shield me from the elements of nature. Easter at Mimi’s house, 1967. One thing about Easter when I was growing up, you couldn’t escape Daddy’s camera. He always came to our after-church Easter dinners at Mimi and Da’s equipped with tripod, big box camera and voluminous black cloth. While we were still decked out in our Easter finery there had to be posing for pictures. And posing. And posing. Before or after lunch, before or after the Easter egg hunt (sometimes both), Harold and I had to stand still for hours — well, it seemed like hours anyway. And we had to smile. “Hold it. Hold it! Hold it!! !” It’s hard to hold a smile when every fiber of your being knows the other kids are out there finding all the colored eggs. Before my children were born, I vowed not to put them through the Easter-posing-for-pictures ordeal. I would be a kind, thoughtful, considerate Easter parent. Huh. Guess how long that resolution lasted? When my son was born, all those self-made promises about photos vanished into never-never land, the cameras came out and click, click, click, I went. Every occasion, too, not just Easter, had to be recorded for all time. Shopping for new Easter clothes continued into this new generation. Every family I knew still did that, and so did we right up until my kids were in high school. Naturally it was only right that we took special photos on Easter. That was when you could count on everyone being dressed up in their snappy suits, shiny shoes, frills and lace, the whole nine yards. So, before and during and after the annual Easter egg hunt, my children had to stand still for a few moments and smile. “Just one more, smile!” and “Maybe one more for good measure, smile!” At least the posing part didn’t last as long with this generation. Although Daddy did have a small camera for snapshots, he didn’t take many at Easter for some reason. He usually let one horrible lengthy posed session be it. I didn’t have the talent and training for photography that Daddy had. So by the time my children came along, I made sure to take enough photos on Easter, posed ones and candid ones, so that some shots were bound to be good. After all, grandparents, aunts and uncles would like to have a copy, surely. And of course I took shots of everybody else’s children, all the aunts, uncles and grandparents, too. Practice makes perfect, you know. These last few years as I glance around church at Easter time, I realize the casual look is superseding Easter bonnets, buttons and bows. Traditions have changed. The smallest worshipers may still look adorable in frilly dresses and little suits, but I have an inkling that wasn’t their first choice of church clothes. But after Easter church services? Ah, here’s where the more things change, the more they stay the same. Except that now it’s the digital age, the camera-phone age, the mini-camcorder age. Posing may result in a good bit of goofiness but somewhere in all those hundreds of Easter shots there’s bound to be some good ones. Upload to the computer, blog a bunch, and be sure to email the best and the worst and the funniest shots around the world. I think Daddy would be pleased that my brother and I have re-caught the camera bug in recent years. He probably wouldn’t mind that our methods are a bit more modern and different from his. He’d agree that Easter still calls for celebration, for family get-togethers, and definitely for cameras.